Wall mounted 42" Flat Screen TV with the full SKY package including sports and movies. An excellent stay in a lovely location, we will definitely be recomming Wee Callanish our family and friends. Had a great stay, the accomodation was lovely, kitchen very well equipped and all very clean. Excellent space for 2 and great base to explore the area. Only thing I would say is that some hooks (for towels) near the wash basin in the bathroom and maybe a bit more shelf space near the wash basin for toilettries would be practical. Also for winter month it may be useful to have instructions on how to work the heating. Otherwise we had everything that we needed and enjoyed our quiet space. Perfect place to stay to see Loch Lomond and visit Inverarary Castle. The Wee Callanish has everything you could need whilst visiting this area, with lovely views over Loch Long. Cottage was adequate for stay. Comfortable for two people and kitchen well equipped. Situated on a busy through road though with traffic noise, especially big lorries. This is the 2nd time we have stayed at wee callanish, it’s a lovely little apartment and within walking distance to amenities. We did feel that the building could do with some shading out the front porch as the apartment is south facing and was just a sweat box during the day obviously we don’t always have summers like these in Scotland but it’s still a nice little getaway. We were down to do some landscape photography and our stay at Wee Callanish was ideal. It was the perfect location to reach all the sights we had in mind and was a lovely cosy retreat at the end of each day. A lovely stay in Wee Callanish, the place was very clean and tidy when we arrived and was comfortable and cosy for our two night stay. The bottle of wine was a great perk! There wasn't any information about the wifi or the complimentary continental breakfast in the fridge but we were able to reach Lynn on her mobile who sorted the wifi out for us! She was so helpful and friendly. The only thing to be aware of is that the Wee Callanish is part of the main house and so the guests staying above can be heard moving around through the ceiling! But other than that we would definitely recommend. Just a simply gorgeous house attached to a bigger one in a peaceful setting. So peaceful that even deer came out to say hello! It's warm and incredibly clean. We didn't need the owner for anything but it was obvious that if we did she would happily be there to answer any questions we had. The only thing is that we thought there was a continental breakfast but there was only porridge (and wine...which made up for it!) I have already been recommending this place and other Auchenheglish Luxury Lodges to my friends. 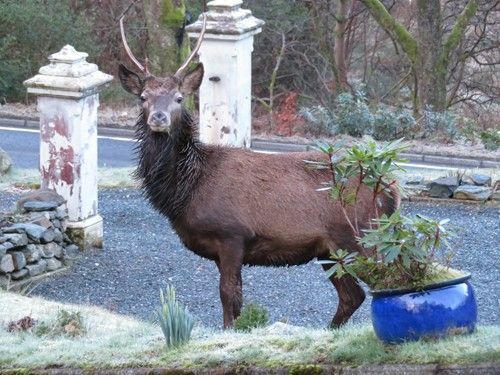 We would stay with them again, except maybe at a different location on Loch Lomond, just for something different. Compact but very comfortable. Local store only a short walk away. Owners looked after us very well on arrival. Cosy and warm. 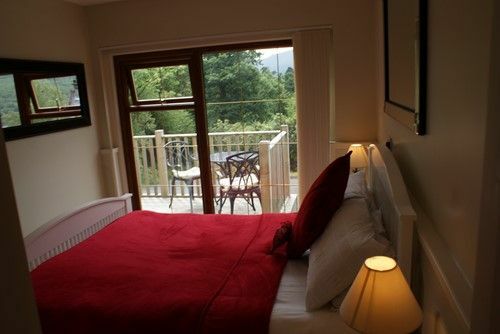 Everything you need under one roof, very warm and cosy with a stunning view over Loch Long. We had a day trip to Glasgow by train, and a day trip to Dunoon by car. 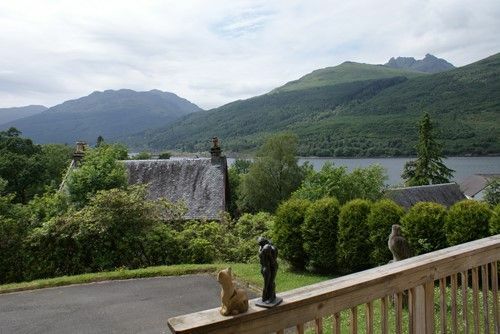 Perfect retreat with a lovely view over the loch and hills. Property is small but we'll laid out and had everything I needed. I was lucky enough to have good weather and made good use of the decking. Very helpful customer service, lovely spot, easy walk to village and pub! Shame about the weather but scenery is glorious. Instructions given really easy to follow. Superb accommodation. Only slight niggle was that the mattress was far too soft everything else was excellent. Our first visit to the Lochs and West Scotland did not disappoint. Beautiful location, amazing accommodation and such peace and quiet. Even the weather was kind to us. The wine and shortbread on arrival was just the finishing touch to a warm and welcoming holiday home. Thank you everyone involved. It was a magical place, never before did we feel so relaxed. The location was magical and the views to die for. We shall return..we shall recommend it to all our friends as we had such good experience. We enjoyed our journey in Wee Calanish because it was a very quiet place. The view was beautiful and the appartment very functional. 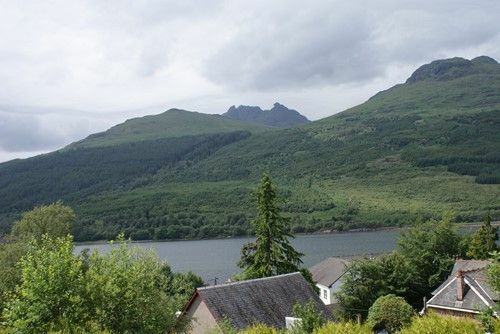 Arrochar is a beautiful place to discover the Trossachs. We absolutely loved our stay at Wee Callanish and everything was perfect. The apartment has everything you will need and a lovely comfortable bed. With modern bathroom, kitchen and decor, it was an ideal base for us. There was also a helpful booklet there with contact numbers for pubs/restaurants and taxis but also helpful info about the area. A wonderful location to relax. We came back from our trips arround the "lochs" and had our dinner, wine and beer on the terrace. A good base for touring the loch. When I booked Wee Callanish I wanted somewhere which was within easy reach of Loch Lomond and surrounding area and this didn't disappoint. It was easy to find as we were given directions prior to our arrival. It was great that we had our own parking space as there were guests staying at the B&B when we arrived. Accommodation was really nice and well equipped, even with a dishwasher which I found after day 3. 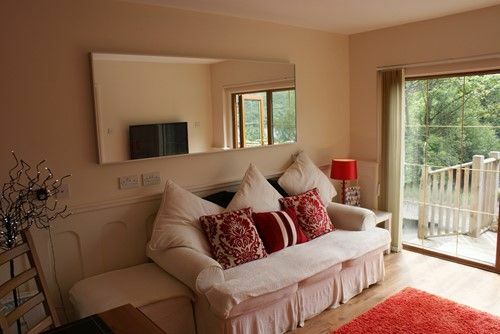 Comfortable and clean and very homely. The only small issue that we had was that we didn't seem to have any hot water for a shower when there were guests staying at the B&B which was the following morning and the last morning of our stay. We stayed at Wee Callanish for 3 nights in May 2016 while touring Scotland on holiday. Wee Callanish is a truly charming residence. It was easy to find, parking good, spotlessly clean and fresh and we felt at home immediately. I cannot recommend Wee Callanish enough and we definitely intend to stay there again when next in the area. In my opinion Wee Callanish gets top marks. Best accomodation on my trip! Loved that little cottage! i would definately come back. It was warm, clean, the bed was comfy and there was even a little wine and beer waiting on arrival. internet worked perfectly fine. great location - good or bad weather! My partner and myself have been in many cottages and houses for holiday breaks, but nothing as perfect as Wee Callanish. Even when Lynn was in dubai on holiday, she had the problem we had with the hot water sorted the same day. Will be back. We had a wonderful time. 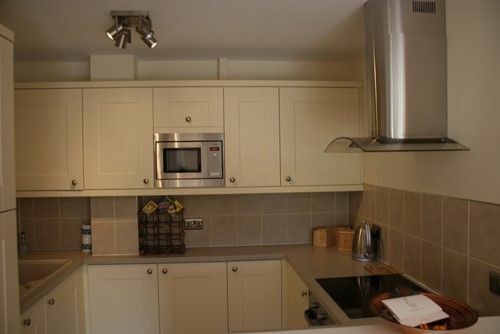 Location was perfect and the property was of a very high standard, clean and comfortable. We would recommend it and would stay again. Fabulous stay we can't wait to go back! Fabulous stay can't wait to go back! Stayed at the Wee Callanish as a mini honeymoon retreat and we couldn't have been happier. 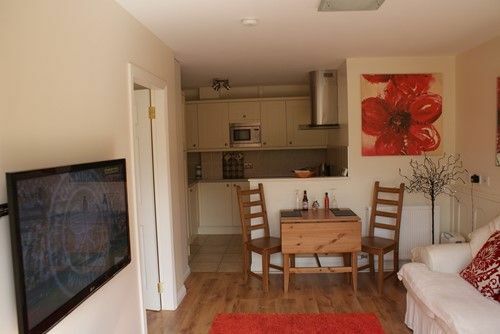 Clean, cosy, great locaion with magnificent views of the loch and mountains. Just fabulous! Everything you could ask for :) thanks Wee Callanish for a great stay! Not even Hurricane Abigail could dampen our spirits staying here, in fact it was a perfect location to watch it lurch over the mountains and whip up the Loch. Extremely comfortable, all the facilities and equipment we needed, a top drawer pub within walking distance...this was a perfect 'home' to get some serious rest and recuperation. For us both this has been logged in our memory banks as a wonderful haven we shall call on again. Stayed for two nights in the Wee Callinish with my wife as we attended a nearby wedding. Location is great with great view and good levels of comfort. There are nearby pubs etc for dinner and a few pints. We were recommended the Village Inn by owner and it did not disappoint just like the accommodation. Only small issue was failure of Wifi connection. The Wee Clannish is very compact, clean and comfortable. Some excellent views from the veranda. The location is central to all the attractions around the area. We thoroughly enjoyed our stay at The Wee Clannish. Strongly recommend having a meal at The Village Inn in Arrochar, but you have to book in advance. Very lovely accomodation. Sadly we had 3 rainy days during our stay. Our host was a very friendly person same as the locals we met at the "Old Village Inn". This wee house was perfect for a few nights away.. the furniture and bed were comfortable, the place was quite modern too. The bathroom and kitchen were clean and from the property we had a fantastic view! The location was perfect! Other reviewers have covered just about everthing on the Wee Callanish and the best of it is ...............it's all true,wonderful location,fantastic apartment with EVERTHING you need. Lovely part of the world, plenty of walking right on doorstep. Great host, well looked after. Only suggestion for improvement would be thicker blinds/curtains in summer as got very light in bedroom from 4.30am. 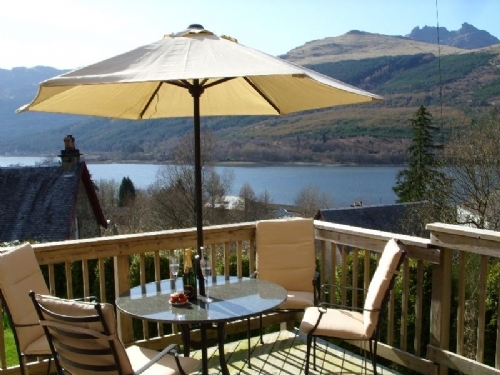 Very nice accommodation in a lovely spot overlooking Loch Long and the Cobbler. Lynn is a very helpful hostess and Nacho was very friendly. Weather could have been better, but thoroughly enjoyed our stay. Been twice now and will be returning again great wee hideaway Lynn is wonderful and can't do enough . Recently got engaged there and me and my new fiancé will always go back to share our fond memories of the wee Calanish finally conquered the cobbler too ! This was an ideal location for a quiet, local getaway for myself and my partner. The accommodation was 1st class, a real home from home feel to it. The information booklet provided us with details of all the local pubs and restaurants and we were not disappointed. A beautiful part of the country to visit with so many stunning views and walks to make the weekend even more enjoyable. Had a great 3 nights at the Wee Callanish. It comes well equipped with everything you could need for a wee holiday and it was such a comfortable place to stay, just loved the place! The owner Lynn was so helpful with where to go and what to do but let's you get on with your holiday at the same time. The little touches when you arrive are great and the views are fantastic! Just a perfect place for a relaxing break away. Had a great long weekend at the Wee Callanish. The host Lynn was extremely helpful and ensured the room was equipped with food and drink supplies for our late arrival. Including creme eggs on the bedside tables. Accommodation was spotless, a large bathroom and extremely comfortable sofa. Perfect for lazying around when the weather was bad. The village inn pub is a close walk away and served delicious food and the Oyster Bar at Loch Fyn was also an amazing place to eat and only a short drive from Wee Callanish. Would return again. Hopefully when the sun is shining. This was exactly as expected. 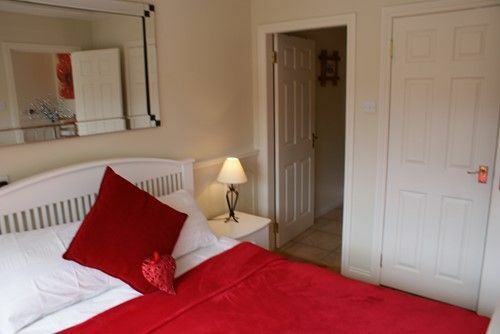 The cottage was extremely comfortable, perfect for two. Lynn was the perfect hostess, she couldn't have been more helpful. Unfortunately our weather was terrible but we could still enjoy the view from the balcony. Having Sky TV made a great difference. We went to The Village Inn for lunch a couple of times and the food was very good and great value for money. We hope to come back to Wee Callanish soon. Fantastic wee place, all the amenities you need. Good location for walks and nearby pubs for fantastic pub grub. Lynn, the owner was lovely and helped us make the most of our 2 days stay. We would definitely go back!!!! We arrived to very warm and friendly welcome, you could not expect more, Lynn is extremely thoughtful and caring host. The location is fantastic, a short walk to amenities and beautiful views. We were very comfortable even with a small child running amuck, although is really for 2 people we just managed to squeeze a cot in! Even when the weather is over caste the place is captivating, would definately visit again. What an amazing little place this is! It is just perfect. Everything you can think of is here, washing machine, dryer, dish washer, internet, full sky tv. Really comfortable stay here. We went in November for 4 days. and home made marmalade! She really got everything right here and was always available to help if we needed any. Will definitely come back here. The Location is quite Central to travel to and from to see and do things in the area. Great time at Wee Callanish! Had a great time at Wee Callanish to celebrate our anniversary - would love to go back and will recommend! 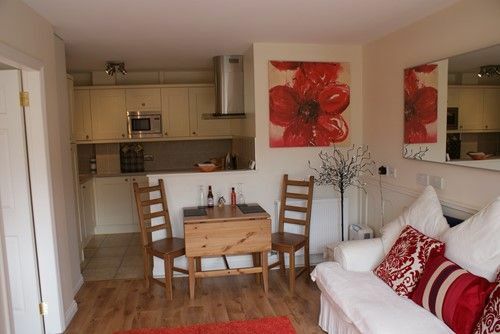 Flat has everything you need and lovely view of the loch from the deck! we stayed at the wee Callanish for two nights as we were doing some hillwalking in Arrochar, the lodge was lovely, very clean throughout and couldnt fault it. My only negative would be that we had expected a continental breakfast but this turned out to be four small boxes of cereal and no milk! WOW what a stunning place to stay. We have just come back from a 2 day stay at this beautifully located self catering hideaway. We were greated by the owner upon arrival and everything was explained about our accommodation and the surrounding are where to eat and what we could do to fill our day. The view from Wee Callanish is amazing the hills and views of Loch Long were superb from our decking area where we could sit out in the sun and rain. The accommodation was very well presented and clean a big tv and sky was avalible but the view was better than what was on TV. There was a lot to go look it and walk round like the Loch and look at some ofvthe best scenery Scotland has to offer there was also some nice walking giving you a different perspective of the area. I would and hopefuly be back there i think it would be amazing place to be in the winter wiyh the snow on the hills. We got some good weather even for the time of the year. Top marks to Lynn with Wee Callanish. We stayed here for our "minimoon" break and absolutely loved it. The place is quaint yet beautifully furnished with all mod-cons and the location is a peaceful paradise with gorgeous views. Lynn is an outstanding host, very attentive and helpful yet not overbearing. We can recommend this place highly enough and can't wait to go back for anniversaries! Lovely property in great location. Nicely decorated with everything you need. Lynn who owns the property stays next door and was helpful in recommending where to eat etc and if we needed anything just to let her know. The only thing that let the place down was the towels that were provided they were old and grubby looking. Apart from that we had a great stay. We had a lovely stay at Wee Callanish. Couldn't have asked for a more lovely hostess or better location. Great walks nearby and easily accessible to loads of places, although we were content to do very little while there. Wee Callanish made a great base for us to explore the area and do some serious hiking. I'd definitely recommend it for anyone wanting a break from everything. And we had sunshine in June - a surprise bonus! Lin gave us a lovely welcome and couldn't have been more friendly and helpful. Great situation, lovely views over The Cobbler that change from day to day depending on the weather. Accommodation first class. Lynn excellent hostess. We had a great 4 nights in Wee Callanish, plenty to do near by and a very comfortable stay. We made the most of the facilities and enjoyed relaxing after our busy days with such beautiful scenery, we will definitely return if we get a chance. Stayed in the Wee Callanish for 4 nights, could not fault the lodge for being clean and lovely decorated. It had everything we needed. From the pictures online we thought it would of been a little bigger as we went walking and had alot of stuff with us there wasnt much storage space so we kept most things in the car. The balcony was rather small and overlooked the driveway, and as the owner lived next door we felt like we were sat looking straight at her car. Lovely place in the UK to visit, will defiantly be back to the area. 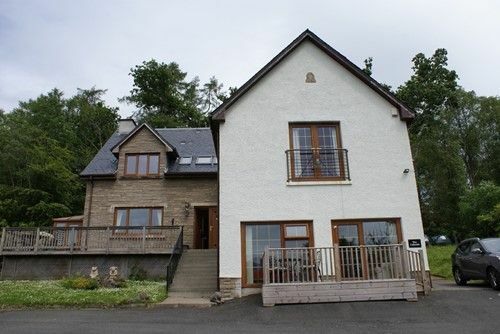 Lovely wee property and absolutely immaculate. Great location with the loch and village on doorstep. Lynn an extremely helpful host who is on hand when required but totally unobtrusive. We had a fantastic weekend and will definately return. Lovely week staying at Wee Callendish, Lyn was very welcoming on arrival and the accomodation had everything we needed. Lovely area to relax and explore. A really nice couple of days spent exploring and relaxing in the Loch Lomond area. Wee Callanish was the perfect base and ideal location for trips to Inveraray Castle and going out for a cruise on Loch Lomond. Just wish we could have stayed longer. We have visited Scotland at least once a year for the last 10 years, this has been one of the best accommodation choices we have made.not only immaculate, modern and welcoming, but also a great location. We stayed there at end of March 14 for 2 nights. It was a last minute booking. Easy to find and is one of the best places I have stayed. 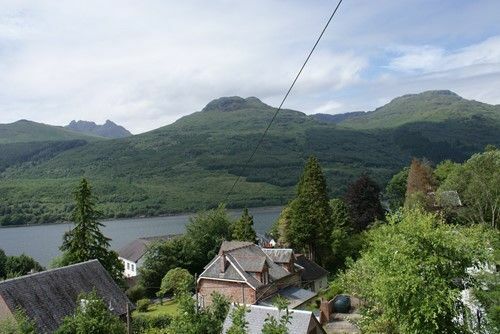 The view is outstanding overlooking loch long and mountains and the accommodation is well looked after and clean. It was a 5 minute walk to the nearest pub. Very happy with our stay.